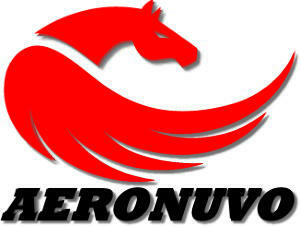 If you are a private individual, accountant, tax assessor, business partner, bank or loan institution, insurance company, law firm, corporation, court, creditor, government agency or engaged in a divorce proceeding, AERONUVO, The Aircraft Appraisal and Valuation Company is your trusted source for excellence, integrity and objectivity. 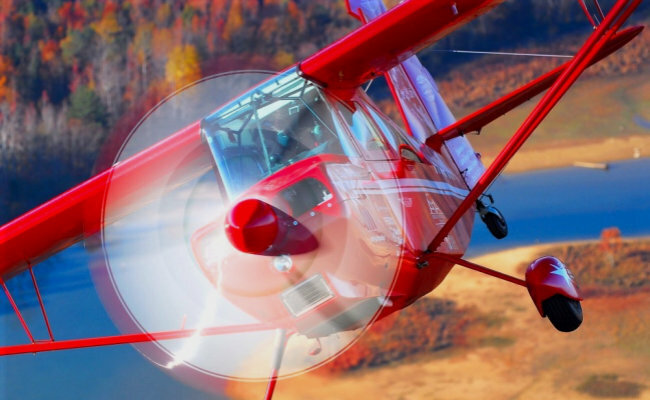 An AERONUVO Aircraft Appraisal is an impartial opinion of the fair market value (FMV) of an aircraft, prepared by experts who know all the factors which make up the current behavior of the used aircraft market. It is an opinion of value based upon experience and repeated analysis of these factors. It is an opinion of value which can be substantiated and justified. It is an opinion of value made by a professional aircraft appraiser. AERONUVO can deliver a professional opinion and appraisal report of the present market value price on an aircraft, the value on an aircraft to be renovated or modified and the value of an aircraft as a prudent safeguard against excessive tax assessments, capital gains and other taxes. Our Premier and Certified Aircraft Appraisal Services include Aeronca, Aero Commander, American Champion (ACA), American General, Aviat Husky and Pitts, Beechcraft (Beech), Bellanca, Citabria, Cessna, Cirrus, CubCrafters (Cub Crafters), DAHER SOCATA, Diamond, Ercoupe, Glasair, Great Lakes, Grumman American, Lancair, Luscombe, Maule, Mooney, Piper, Rockwell Commander, Stinson and More. . .. . . AERONUVO provides its customers with our unique and customized aircraft appraisal services at many airports in some instances with no added cost in the states of Virginia (VA), West Virginia (WV), Pennsylvania (PA), Maryland (MD), Delaware (DE), North Carolina (NC) and New Jersey (NJ). For more information or consultation, contact AERONUVO at your convenience. Reading the “Aircraft for sale” advertisements can be interesting and misleading. As aviation-oriented people, we are conditioned to look for certain bits of information which we believe will allow us to evaluate the product offered for sale. In the case of airplanes, this information can generally be segregated into three categories – airframe, avionics and engine. For purposes of this section, you are on your own with respect to airframe and avionics. There does seem to be information on engines which cannot be emphasized too strongly. Engine information is usually provided as hours of operation since new or from some major maintenance event. For example, 700 TTSN (Total Time Since New) would indicate that the aircraft and engine have been flown for 700 hours since new from the factory. Other, but not all, engine related abbreviations include SMOH (hours since major overhaul), SPOH (hours since prop overhaul), STOH (hours since top overhaul) and SFRM (hours since factory remanufacture). Assuming that the recommended TBO (Time Before Overhaul) of the engine being considered is 1800 or 2000 hours, it would appear that hours of use in the 400- to 800- hour range would automatically make this engine a very valuable commodity. Unfortunately this is not always true, and therefore an advertisement like this may state numbers and facts which are absolutely correct, but still misleading. Consider a situation which occurred recently. A Lycoming IO-360 engine with less than 700 hours since new was reported to be using oil at the rate of two- thirds quart per hour and losing oil pressure during flight. On closer examination, it was determined that deterioration and wear had caused metal contamination throughout the engine. An engine overhaul was necessary, and it included replacement of items such as the camshaft, oil pump gears and pistons. Why should an engine with less than 700 hours since new be in this sad state? It should be apparent that the number of hours the engine has operated is only part of the story. We need to know all the facts if we are to understand what may have happened to this normally reliable engine, and also if we are to determine the value of a lowtime engine in a preowned airplane. • Impartiality and Objectivity: A professional aircraft appraiser must be independent, impartial, and objective. A professional appraiser's opinion of value must not be biased. • Ethical Conduct: A professional aircraft appraiser will adhere to a generally recognized code of ethical conduct, which is contained in USPAP. • Full Disclosure: A professional aircraft appraiser will disclose all relevant information to ensure that the appraisal is understandable to the user, and not misleading. • Confidentiality: A professional aircraft appraiser will treat confidential information as such. When in doubt, the appraiser should always check with the client to determine what is or is not confidential information. • Competency: A professional aircraft appraiser should have knowledge and experience in performing similar assignments. • Independence: A professional aircraft appraiser cannot be compensated based upon the results of the appraisal. We are open for business 7 days a week, 7:00 AM to 9:00 PM Eastern Standard Time. As always, our consultations and advice are free with no obligation. It’s all part of our superior aircraft appraisal services. If you are a private individual, accountant, tax assessor, business partner, bank or loan institution, insurance company, law firm, corporation, court, creditor or government agency, AERONUVO, The Aircraft Appraisal and Valuation Company is your trusted source for excellence, integrity and objectivity. An AERONUVO Aircraft Appraisal is an impartial opinion of the fair market value (FMV) of an aircraft, prepared by experts who know all the factors which make up the current behavior of the used aircraft market. It is an opinion of value based upon experience and repeated analysis of these factors. It is an opinion of value which can be substantiated and justified. It is an opinion of value made by a professional aircraft appraiser. Virginia Beach, West Falls Church, Winchester.